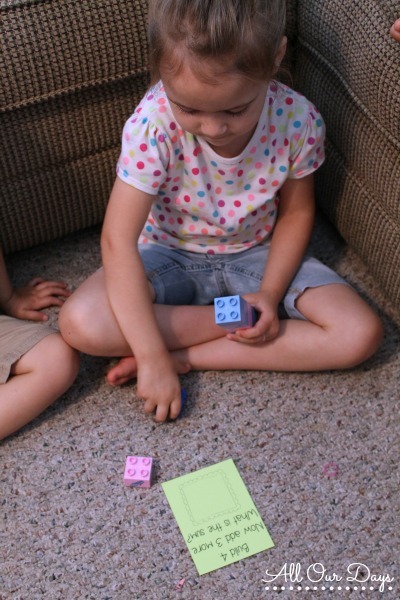 Our kids absolutely love Duplo blocks! They are a toy that can be played with here and there ALL. DAY. LONG. In fact, since they don’t pose a choking hazard, they can be found scattered around the living room floor most days. So, I made these [tweetherder]quick and easy Build It! 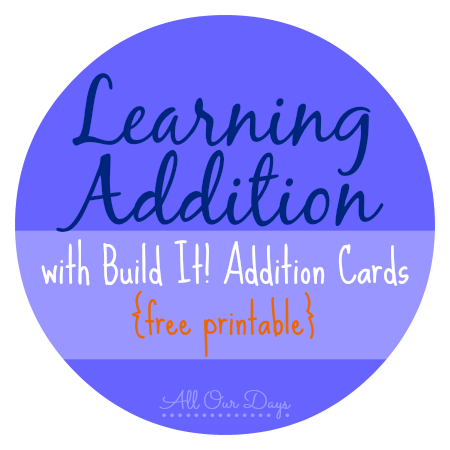 Cards to help introduce kids to addition[/tweetherder] and some good math vocabulary. 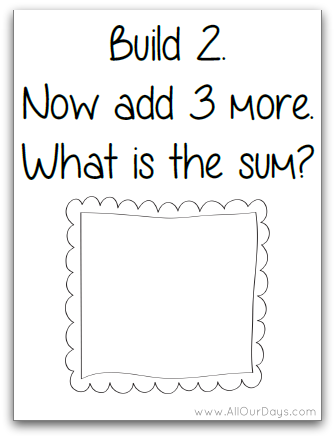 You could laminate these and write the answers in the boxes with dry erase markers, but more often than not, my kids just grab a handful of cards, build towers, and find the sums. Do your kids like playing with Duplos or Lego? This is an awesome idea. Wish I had thought of it when my little was little. 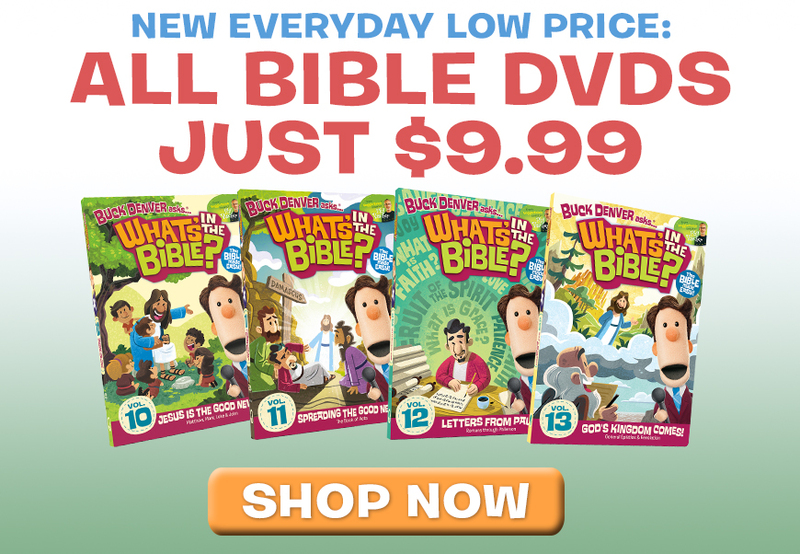 Great way to take something fun and sneak in a little learning! Awesome, I love Duplos and Legos. These will come in handy when my little girl is old enough for this. Thanks for this! Yes, we absolutely love legos and duplos both, though my kids are starting to outgrow duplos, I guess. (I kinda like them better myself). What a neat way to teach addition.